What is the most ingenious aspect of Vine? It’s only 6 seconds, which absolutely forces brands and healthcare marketing agencies to think outside of the box, be unique, creative, innovative, and amazing in only 6 seconds. Video marketing within the healthcare industry is superlatively dependent upon ingenuity, innovation, and the ability to provoke emotion and interest from a tough audience. The stronger you can make your video message within a short time frame, the more successful that vide will become. At Quaintise, video marketing is just one of the many tools utilized to increase brand awareness and engage with patients and prospective patients. We use video marketing in healthcare to augment the transparency and communication between patient and physician, and over the years we have perfected the art of healthcare video messaging. A picture might be worth a thousand words, but a video is worth 1.8 million words, at least according to Forrester Research. Dr. James McQuivey of Forrester Research states that one-minute of video is literally equal to 1.8 million words. 1. 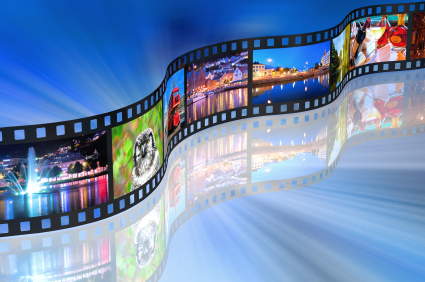 Video attracts 2 to 3 times as many monthly visitors and has a 157% increase in organic traffic! In healthcare marketing, this could mean the difference between a dozen new patients a month and one or two new patients a month without video marketing. 2. Of the 80% who watched a video ad on a website, 46% took some action after viewing that ad. The action taken most often was an interest in seeking out more information on the related healthcare topic (26%). After viewing the healthcare video ad, 22% of visitors actually went to the website named in the ad, and 12% actually purchased a specific product or service mentioned in the ad. 3. Web visitors are 64% more likely to buy a product or service online after watching a video. If your healthcare marketing agency can create an effective video marketing campaign, there is a greater percentage of chance for web visitors to become office patients. At Quaintise, we invite you to follow our blog this week as we take you through the strategies behind successful and effective video marketing campaign in healthcare.